Big data analytics and data from wearable computing offer potential to improve monitoring and treatment of Parkinson’s disease. The Intel-built big data analytics platform combines hardware and software technologies to provide researchers with a way to more accurately measure progression of disease symptoms. Data is collected from Parkinson’s patients via wearable devices, and housed in an open platform for analysis that may lead to new insights and improvements in care via a new partnership between Intel and the Michael J. Fox Foundation. Anonymous patient data is aggregated and analyzed for new insight into Parkinson’s disease via a new partnership between Intel and the Michael J. Fox Foundation. NEW YORK and SANTA CLARA, Calif. (Aug. 13, 2014) — The Michael J. Fox Foundation for Parkinson’s Research (MJFF) and Intel Corporation announced today a collaboration aimed at improving research and treatment for Parkinson’s disease — a neurodegenerative brain disease second only to Alzheimer’s in worldwide prevalence. The collaboration includes a multiphase research study using a new big data analytics platform that detects patterns in participant data collected from wearable technologies used to monitor symptoms. This effort is an important step in enabling researchers and physicians to measure progression of the disease and to speed progress toward breakthroughs in drug development. For nearly two decades, researchers have been refining advanced genomics and proteomics techniques to create increasingly sophisticated cellular profiles of Parkinson’s disease pathology. Advances in data collection and analysis now provide the opportunity to expand the value of this wealth of molecular data by correlating it with objective clinical characterization of the disease for use in drug development. The potential to collect and analyze data from thousands of individuals on measurable features of Parkinson’s, such as slowness of movement, tremor and sleep quality, could enable researchers to assemble a better picture of the clinical progression of Parkinson’s and track its relationship to molecular changes. Wearables can unobtrusively gather and transmit objective, experiential data in real time, 24 hours a day, seven days a week. With this approach, researchers could go from looking at a very small number of data points and burdensome pencil-and-paper patient diaries collected sporadically to analyzing hundreds of readings per second from thousands of patients and attaining a critical mass of data to detect patterns and make new discoveries. MJFF and Intel initiated a study earlier this year to evaluate the usability and accuracy of wearable devices for tracking agreed physiological features from participants and using a big data analytics platform to collect and analyze the data. The participants (16 Parkinson’s patients and nine control volunteers) wore the devices during two clinic visits and at home continuously over four days. 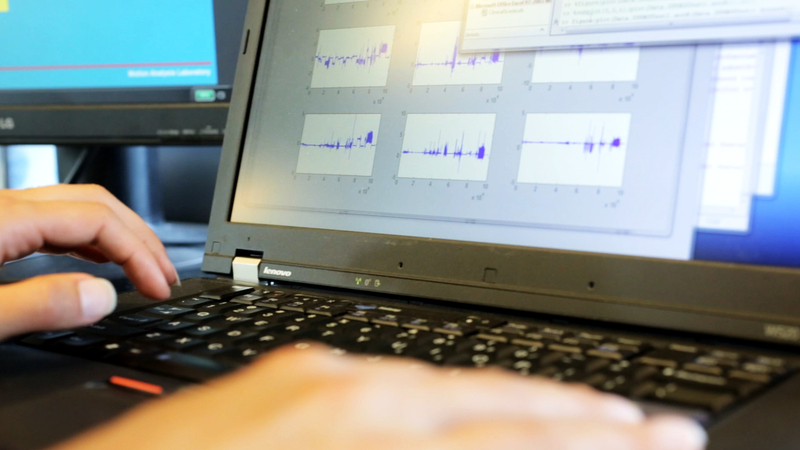 Intel data scientists are now correlating the data collected to clinical observations and patient diaries to gauge the devices’ accuracy, and are developing algorithms to measure symptoms and disease progression. Later this year, Intel and MJFF plan to launch a new mobile application that enables patients to report their medication intake as well as how they are feeling. The effort is part of the next phase of the study to enable medical researchers to study the effects of medication on motor symptoms via changes detected in sensor data from wearable devices. To analyze the volume of data, more than 300 observations per second from each patient, Intel developed a big data analytics platform that integrates a number of software components including Cloudera® CDH* — an open-source software platform that collects, stores, and manages data. The data platform is deployed on a cloud infrastructure optimized on Intel® architecture, allowing scientists to focus on research rather than the underlying computing technologies. 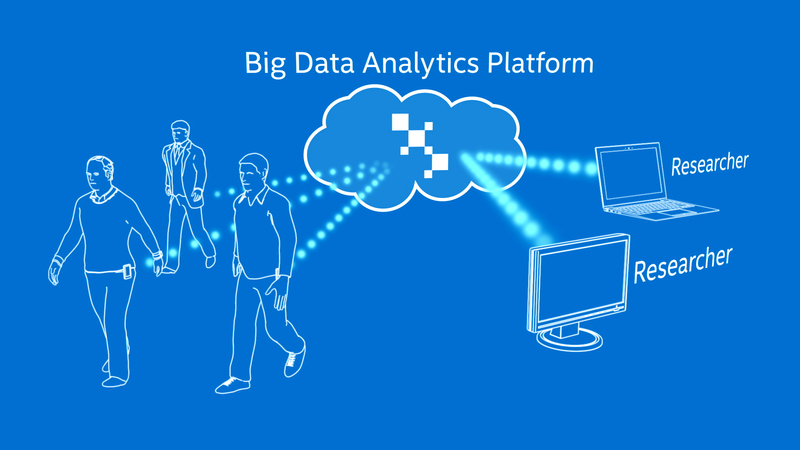 The platform supports an analytics application developed by Intel to process and detect changes in the data in real time. By detecting anomalies and changes in sensor and other data, the platform can provide researchers with a way to measure the progression of the disease objectively. In the near future, the platform could store other types of data such as patient, genome and clinical trial data. In addition, the platform could enable other advanced techniques such as machine learning and graph analytics to deliver more accurate predictive models that researchers could use to detect change in disease symptoms. These advances could provide unprecedented insights into the nature of Parkinson’s disease, helping scientists measure the efficacy of new drugs and assisting physicians with prognostic decisions. MJFF and Intel share a commitment to increasing the rate of progress made possible by open access to data. The organizations aim to share data with the greater Parkinson’s community of physicians and researchers as well as invite them to submit their own de-identified patient and subject data for analysis. Teams may also choose to contribute de-identified patient data for inclusion in broader, population-scale studies. The Foundation has previously made de-identified data and bio-samples from its sponsored studies available to qualified researchers, including from individuals with a Parkinson’s-implicated mutation in their LRRK2 gene. MJFF has also opened access to resources from its landmark biomarker study the Parkinson’s Progression Markers Initiative (PPMI) since it launched in 2010. Parkinson’s scientists around the world have downloaded PPMI data more than 235,000 times to date. For more information, visit us on the Web, Facebook, Twitter, LinkedIn and Pinterest.